There’s this guy on an island off the coast of Canada who makes the best espresso machine tampers. A tamper is a little plunger that is used to pack coffee ground into a portafilter. Tamping is one of the most critical stages in making espresso. It’s almost impossible to get good espresso without proper tamping. In fact, I’ve never seen a barrista in New York do a proper tamp. The one reason why Starbucks coffee became more drinkable is because they use automatic machines these days that tamp the grounds themselves. I don’t own a Reg Barber tamper because I already had and Ergo Packer, which is also very finely made and instead of having a flat bottom like all other professional tampers or rounded bottom like all the crappy ones, it has a very slightly curved one. “Very scientific!” would cry characters from this novel. Anyway. Reg finally made a small batch of titanium tampers. Gotta get one. Moving on. 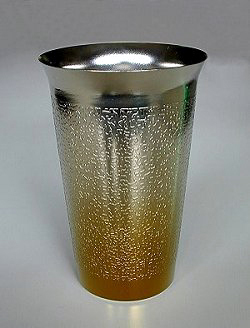 In the book “Skunk Works: A Personal Memoir of My Years at Lockheed”, Ben Rich mentioned a special set of titanium shot glasses that his boss used for drinking with the generals. You see, the awesom SR-71 Blackbird was the first plane made entirely out of titanium. I wonder who has those glasses now. But these guys have excruciatingly pretty titanium stuff. 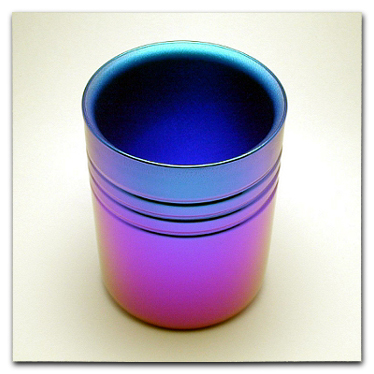 Sake cups, mugs, beer glasses – all made out of titanium. Jewelry is also very nice. They can even make a street sign out of titanium for ya. You know, I don’t want a 1958 Plymouth Fury anymore. I don’t even want a 1948 Tucker Torpedo. 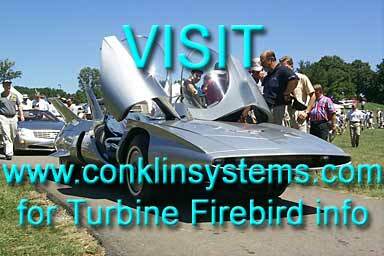 All I want is a 1956 GM Firebird II, the first titanium body car with a gas turbine engine. Is that too much to ask for? ACH! BONJOURRRRRR! You Cheese-Eating Surrender Monkeys! A while back I finished an absolutely amazing book about Lockheed Martin Skunk Works. It’s by Ben Rich and it’s called “Skunk Works: A Personal Memoir of My Years at Lockheed“. I’ll write more about that book later. Here’s an amusing little anecdote from Lt. Colonel William Burk Jr., an SR-71 Blackbird pilot.